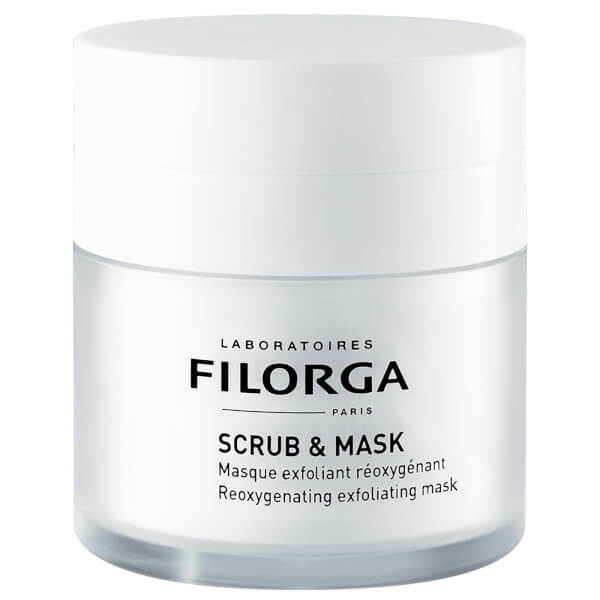 Unveil transformed skin with the Filorga Scrub and Mask; an innovative dual-phase treatment that re-oxygenates dry, dull and fatigued complexions to refine, hydrate and soften. Perlite microspheres gently buff away dead skin cells while a unique enzyme mimics the embryo hatching process to enhance exfoliation. After a short period of time, the advanced formula evolves into an active mousse with NCTF® technology seeking to boost cell renewal and miniscule oxygen bubbles improving congestion and enabling skin to breathe. Delivering instant results, the face mask leaves skin feeling tighter and smoothed, restoring a healthy-looking radiance with the appearance of pores visibly reduced. 1. Spread a thick layer of Scrub & Mask over dry skin, avoiding the eye area. 2. Gently massage the product into the skin using circular movements. Continue for one minute. 3. Leave to rest. Bubbles start to form; this means that the mousse is retaining oxygen. 4. Once the bubbles have disappeared (after about ten minutes), rinse off with water. 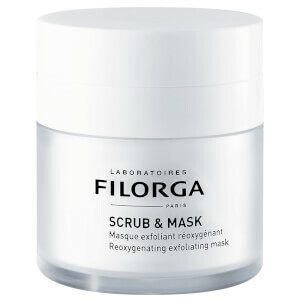 Scrub & Mask can be used on all skin types, between one and three times a week.